In many ways Dundee is ideal for cycling. Although its hilly north/south terrain will keep you sweating enough to make you fit, its east/west terrain is flat enough for a pleasant and leisurely cycle. However, the city's cycling infrastructure still has considerable room for improvement. For example, despite investment in lowered kerbs and footways, enhanced pedestrian access and dedicated cycling lanes, accidents remain a cause for concern. 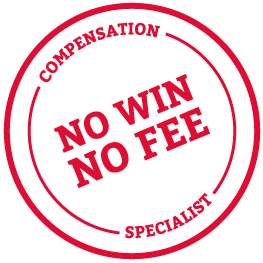 Our No Win, No Fee funding model is there to protect you and your right to access justice. In short, unless you win your case, you pay nothing at all and therefore incur no financial risk. Speak with our cycling accident claims team in Dundee today for more information. The Thompsons Solicitors office in Dundee is situated in the city centre, Whitehall Crescent, close to St. Mary's Church. Our cycling accident claims team use their knowledge, insight and experience to help you secure the settlement to which you are entitled. Despite the efforts of cyclists and road safety campaigners, cyclists remain 15 times more likely to be killed on the roads than the drivers of cars. If someone close to you has suffered fatal injuries as a cyclist, our fatal accident solicitors can help you through the difficult process of claiming compensation for the incident. Thompsons' is one of the most respected personal injury solicitor firms in the country. Each week we secure around £1 million for our clients and win around 90% of the cases we take on. If you would like to speak to our cycling accident claims team in Dundee today about the possibility of securing compensation, call us on 0800 0891 331.